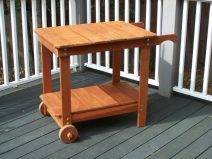 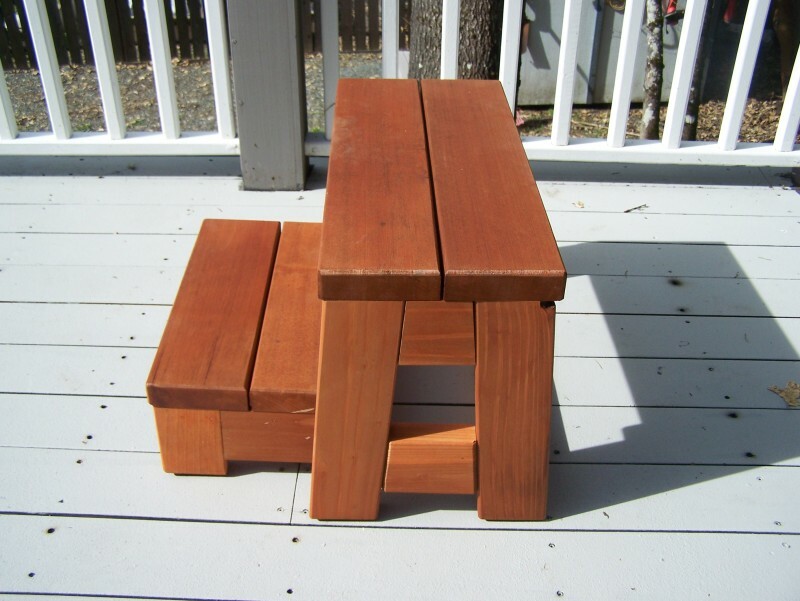 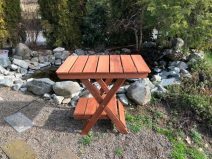 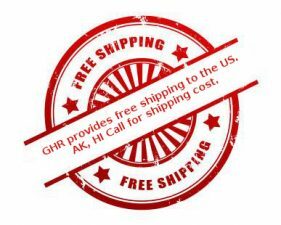 Folding redwood step stool is sturdy enough for a spa or pool step or anywhere you need a small step. 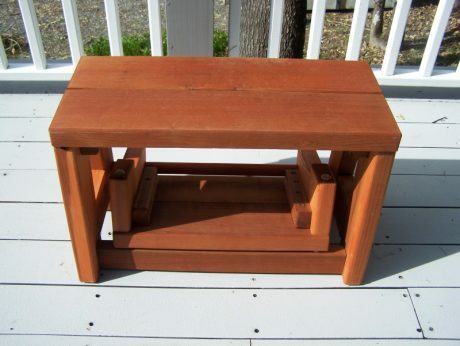 It folds up to a small bench when not being used for a step. Another idea for its use is as a plant stand with two rows of plants. 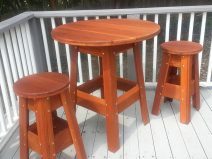 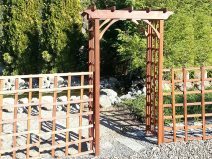 Made from clear, mature growth redwood.